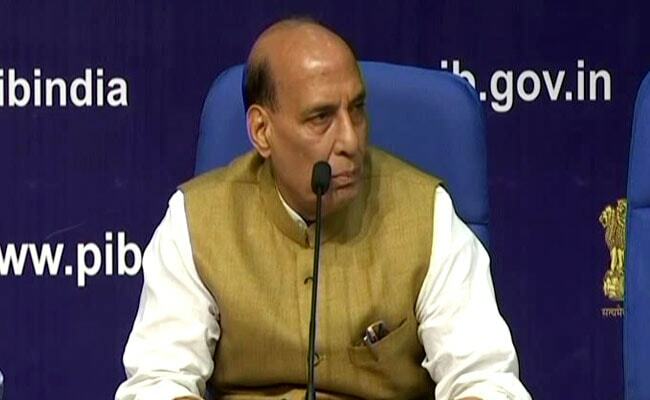 The directive was given today after a review of the security situation in the state during a high-level meeting in the wake of recent episodes of violence in the Kashmir Valley where several security personnel were killed by terrorists. New Delhi: Anti-terrorist operations will be further intensified in Jammu and Kashmir with security forces being instructed to eliminate those who continue to indulge in violence in the state, officials said. The meeting, chaired by Home Minister Rajnath Singh and attended by Defence Minister Nirmala Sitharaman, National Security Advisor Ajit Doval and top officials of ministries of Home and Defence, gave instructions to security forces to take action against the terrorists, a home ministry official told PTI on condition of anonymity. The operations against the terrorists will continue even though the central government has appointed a special representative Dineshwar Sharma, to initiate talks with all stakeholders in an effort to bring a lasting peace in Jammu and Kashmir, the official said. Security forces have stepped up offensive against terrorists operating in the Valley. Director General of Police of Jammu and Kashmir SP Vaid had recently said around 170 terrorists were gunned down by the security forces in Jammu and Kashmir this year. Two Army soldiers were killed and a CRPF jawan suffered injuries in an encounter in Pulwama district of the state on November 2. Three terrorists were gunned down in Pulwama in an encounter in which an Army jawan was also killed on November 6. Three terrorists, including Jaish-e-Mohammed chief Maulana Masood Azhar's nephew, were gunned down by security forces Pulwama district on November 7. On November 9, terrorists shot at and injured a policeman in Anantnag district of Jammu and Kashmir. Terrorists also attacked two police vehicles in separate incidents at Qazigund and Anantnag on November 10. An Army jawan and a terrorist were killed in an encounter in Kulgam district yesterday.